Detailing World - View Single Post - Mirka Shark Blade / Denibber / How to use? Thread: Mirka Shark Blade / Denibber / How to use? Mirka Shark Blade / Denibber / How To Use? Have been lurking for ages and joined forum some time back but never wrote anything since vast majority of forum population do not have much to learn from me or my “rich” experience in detailing. I’m not complete noob and have tried a lot of products and DIY techniques related to car care and detailing. 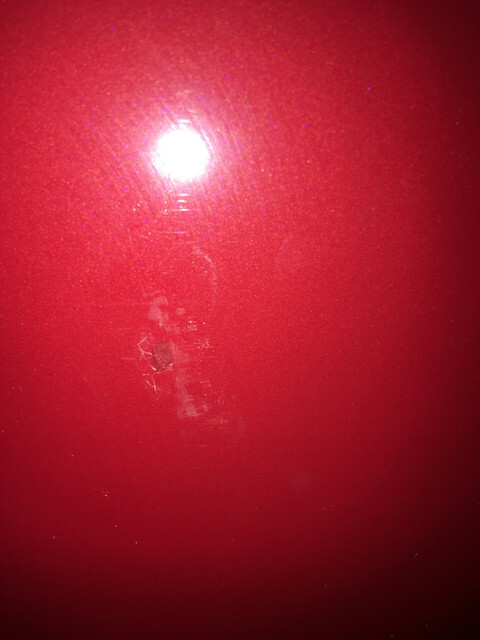 I decided to write my first topic, after extensive search on this forum and research on other websites, about cutting method step in stone chip repair procedure with touch up paint. 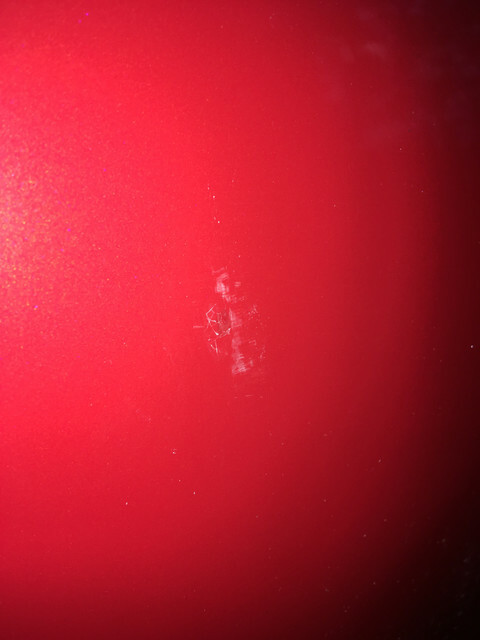 Theoretically and from own experience I know how to clean surface with IPA, how to apply base coat, build up clear coat, how to leave clear coat layer with a blob that needs to be flattened and now I’m stuck and need your help. On my previous car I tried to flat the area with wet sanding method (small piece of P2000 on the tip of pencil with rubber eraser on top) but I wasn’t quite patient and tried to redo repaired area 3 times and managed to achieve strikethrough. Touch down! With my new car, I decided to go for little more safer approach in flattening/cutting/shaving raised areas and bought Mirka Shark Blade. I did not go after Festool Denibber (LZK-HM 497525) not because it’s bit more expensive but found info here that Mirka is more beginner friendly and sufficient for hobby use regarding tool life span. My first and main inquiry is based on how to properly hold Mirka Shark Blade. I found few instructional videos for Festool Denibber and how to place it to rest on the matching cord to achieve optimal cutting angle. On other hand, haven’t found any video instruction or user manual for proper Mirka Shark Blade handling. It is, obviously, differently shaped and cannot be laid down on the cord but you rather need to hold it in dominant hand and make slightly curved pushing movement. I place Mirka Shark Blade in hand similar to stone that you intend to throw to make water ripples. 1. Is upper mentioned "throwing stone" correct positioning of tool in the hand? 2. If it is not – please advise how to hold properly? 3. Do I make pulling or pushing hand movement? 4. How long hand movements do I need to make to produce momentum (sufficient cutting force)? 4. What is approximate optimal angle of tool placed on the surface? 5. How much of pressure (weight) on surface do I need to apply when making cutting movements? I attached two photos of the area that I started to cut but stopped after few cuts because I noticed slight cutting marks (blurring) on surrounding non touched-up area. Better safe than sorry since factory clear on BMW F30 is approx 90µ. Is this OK and can I relatively safely continue with flattening the area? Last edited by jure5gtt; 13-03-2018 at 10:48 AM.